Email Our Digital Old Orchard Beach Postcards! 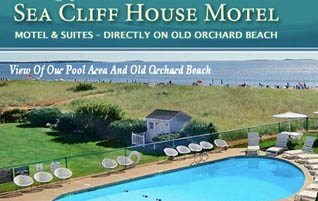 The Sea Cliff House is an Old Orchard Beach oceanfront motel, offering you a tranquil oceanfront vacation on one of the most beautiful 7 miles of beach you'll find anywhere in the world. We are directly on a quiet section of the beach. Walk out of your room directly onto the sand. 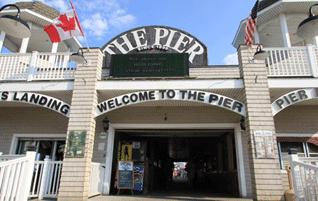 We are in a quiet area of the beach, but close enough to walk down the beach or street to the Pier and amusements. Our lodgings offer a choice of immaculate, motel rooms, 2-room kitchenette apartment units and Jacuzzi Rooms. We have several rooms that feature oceanfront views and a few suites with full kitchens. Relax at our pool and outdoor hot tub, and walk directly onto the sand. The Seacliff House is relaxing and enjoyable, and we are open all year. We are open all year, and the Sea Cliff House is family owned and operated. We look forward to seeing you soon! From the Sea Cliff House you can enjoy a peaceful walk along a continuous stretch of sand in either direction. We’re near Ocean Park and just a ten minute walk along the beach or West Grand Avenue to the Pier, amusements, fine dining and shopping in the downtown area. Our lodgings offer a choice of immaculate, motel rooms, 2-room kitchenette/apartment units and Jacuzzi Rooms. We have several rooms that feature oceanfront views and a few suites with full kitchens. The Sea Cliff House is family owned and managed by the Pelletier Family. We are open all year, and we welcome you to Old Orchard Beach for a great vacation or getaway. Find attractions restaurants and more, with the distance and directions from our front door. Send Our Fun OOB Postcards! 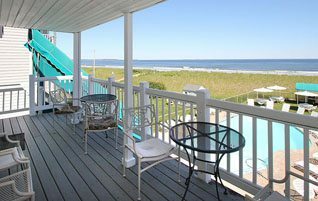 Share your Sea Cliff House and Old Orchard Beach memories, and make your friends and relatives insanely jealous.